At the beginning of August we saw the Reserve Bank of Australia (RBA) announce a further cut to the official cash rate by 0.25% reducing it to 2.50%, the lowest rate since 1959. In this article we look at the role of the RBA and the different types of interest applied to loans as they reach each of us as consumers. The Reserve Bank of Australia is Australia's central bank. The RBA Board meets on the first Tuesday of each month to review and set the target cash rate, which is the interest rate on overnight loans in the money market. The decision to change the cash rate influences, to varying degrees, other interest rates in the economy including the rate that banks set on the money they lend. The principal medium-term objective of monetary policy is to control inflation. The RBA Board sets interest rates with the intention of stabilising the currency, maintaining full employment and economic prosperity. Controlling inflation also preserves the value of money over time. To achieve these objectives the RBA focuses on a target for consumer price inflation, of 2 to 3 per cent per annum. If inflation is on the increase, the RBA may increase interest rates with the view to slowing growth and keeping inflation in check. The impact of increasing rates normally forces consumers and businesses to borrow less and save more, which slows down economic activity. In essence, loans become more expensive while holding more cash becomes more attractive. On the other hand, to stimulate the economy, interest rates may be decreased to encourage consumers and businesses to borrow which helps the economy to grow through a boost to retail and capital spending. Because of the way that Australian banks and financial institutions have tended to match the RBA's rate movements in the past, most of us have come to expect that a reduction in the cash rate announced by the RBA will flow through to our personal mortgages. However, since the GFC, banks have started to make changes outside of the RBA movements sometimes electing not to pass on the full reduction. The difference between the interest rate set by the RBA and that set by the banks is influenced by the cost to the bank to borrow the money themselves to then lend on as they don't typically have sufficient funds to cover their loans. There is also an allowance for administration costs, risks associated with lending as well as a margin in order to be profitable. While you may have little influence over what rates a bank charges for its lending, you do have the option of considering what type of interest arrangement suits you best, given your personal circumstances as well as your view on economic outlook. It is important to consider which type of loan is right by taking into consideration not only the current interest rate but also the impact future fluctuations to interest rates may have on your ability to make repayments. When advertising a loan, interest rate lenders must provide a comparison rate. Essentially, a comparison rate identifies the true cost of a loan. The comparison rate combines the loan amount, term of the loan, repayment frequency, interest rate and all fees and costs associated with the loan. When comparing the comparison rates of loans it pays to look for an amount and term closest to the amount and term of your loan. Put simply, a honeymoon rate is a discount on a variable interest rate for a home loan product that is offered for an agreed initial period when the home loan is first taken out. After the honeymoon rate period has passed, the home loan will revert to a variable rate which is usually higher. When considering these types of rates be sure to weigh up the short term benefit with the medium and longer term realities of such arrangements. Explore our Honeymoon Loan Calculator to learn more. A variable interest rate moves up and down with market conditions which means your loan repayments may increase or decrease as the rate changes. Variable rate loans provide you with flexibility to make additional repayments, redraw on those additional funds and take advantage of features such as a 100% interest offset facility. 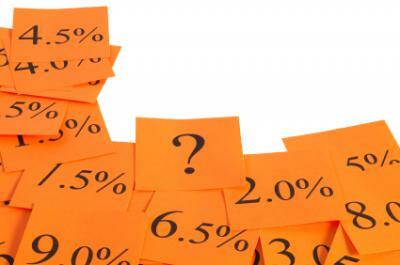 A fixed interest rate will not change for an agreed fixed period of generally between 1 and 5 years. During this period your repayments remain constant, which can be useful for budgeting purposes. However, fixed loans are less likely to offer the option of making unlimited additional repayments and access to facilities such as interest offset accounts. Your level of comfort and ability to service variable interest rate increases or decreases. Your desire to make additional repayments to your loan over time - most fixed rate loans only allow a set amount of repayments per fixed rate period. How long you plan to keep your home loan - if you choose to repay your loan or sell your home during the fixed rate period, you may incur break fees for terminating the contract early. There is the option of fixing only a part of your loan which can give you both fixed rate certainty and variable rate flexibility. As with most financial considerations, seeking personal and professional advice is always recommended. To read more about all things debt and lending, go to our Debt Management & Leveraging learning module.